Should a Thai oil company be allowed to issue a green bond? Bangkchak Petroleum’s rollout of a green bond highlights the growing pains being experienced in the nascent industry. Sunny Bangchak solar plant, Bang Pa-In, Thailand. Last Tuesday, the Bangchak Petroleum Public Company Limited released its first green bond (subscription) into the marketplace. The majority state-owned company saw its ฿3 billion ($92 million USD) bond issue snapped up by six regional insurance companies that included Bangkok Life Assurance and Ocean Life Insurance. While green bond announcements like these have become much more prevalent over the past year, there was one main difference: it’s the first corporate green bond issued by an oil company. Bangchak is built around its petroleum refining and retailing business in Thailand, operating the country’s largest oil refinery. It also owns roughly 1,100 petrol stations throughout its network in Thailand and Malaysia. Yet, the company’s CEO was adamant in an interview with the Bangkok Post that all money raised through the bonds will be earmarked exclusively for green projects. The company is rapidly building out its renewable energy capacity, with new solar operations coming online this year. It also plans to expand its biogas and biomass capacity. Nevertheless, it raises concerns that green bonds could be used to greenwash the operations of fossil fuel-intensive industries. Green bonds advocate and Climate Bonds Initiative CEO Sean Kidney addressed these concerns last week in a blog post. While at first blush this would seem worrying, the company does have a big portion of its business directed towards solar and biofuels, and the proceeds of the bond will be directed accordingly. The concern for investors will be around the allocation and reporting of proceeds — they will be looking for confidence that the bond is in fact funding green and not brown assets. Independent verification would be very useful here, or even certification against our soon to be launched Climate Bonds bioenergy standard. 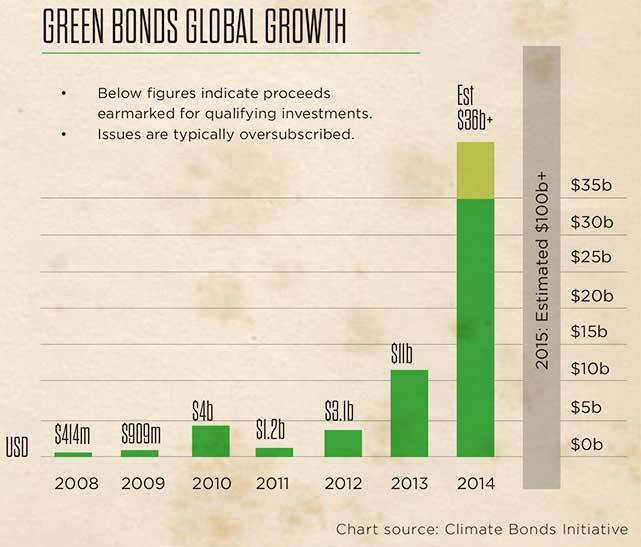 With the green bond market more than tripling to $35 billion last year – including the rapid proliferation of corporate green bonds – more controversial green bond projects will be entering the picture in the near future. 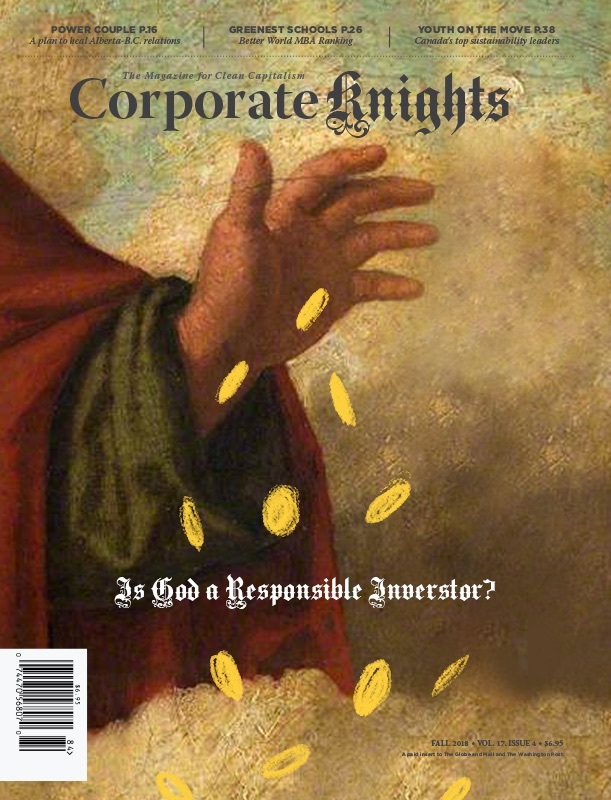 Corporate Knights contributor Bernard Simon reported in January on the inter-industry debate over what criteria should determine whether a project is eligible to be financed with a green bond, and who should decide whether those criteria have been met. Until these questions are settled, both investors and sustainability advocates should be forceful in demanding a certain level of disclosure and transparency around the projects these bonds are financing. The underwriter for the Bangchak bond, Standard Chartered Bank, signed up as a Climate Bonds Partner in December and is expected to disclose more information about the bond in the coming weeks. In the meantime, NGOs like BankTrack are busy filling in the gaps. Skepticism over green bonds emanating from fossil fuel companies is certainly warranted, but their open and transparent participation should be strongly encouraged by sustainability advocates. “We’re diversifying our business into other non-oil and green energy sectors to help offset possible lighter revenue from weaker oil prices we faced in the previous year,” Mr Chaiwat explained. Green bonds should be used to help set carbon-heavy industries on a greener path, just as long as it’s going to the right place.